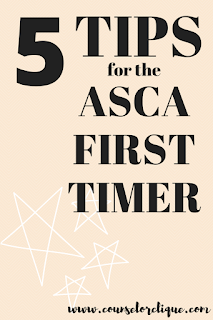 This summer I had my very first opportunity to attend ASCA, the national school counseling conference, which was held in New Orleans this year. I had the greatest time and left with a brain exploding with ideas and notes. 1- Ask for money ($$$), and ask for it early. I stand by the idea that you can get a lot in life by just asking. People want to and are willing to help you! I asked my principal for money to fund my trip to ASCA ($419 registration fee sure is daunting alone), since I knew there was usually money set aside for professional development in the school. Ask earlier rather than later. I think I didn't ask earlier because 1- I was scared to commit to going on the trip, and 2- I was scared of him saying "no." I didn't ask until late May/early June. He wanted to help, but that money was already out for the fiscal year (July 1-June 30). He was able to give me $200 out of a general school fund. So then I went to the higher ups. I figured I'd give someone a reason to say "no" to me. I asked my district counseling supervisor if he would put money towards my trip. After weeks of buzzing in his ear, his budget ended up paying the entire conference registration fee (and my school's money went towards my travel costs)! I was able to stay with another friend whose district paid for everything including her hotel and transportation from the airport, so that was quite an added bonus for me! It's summer time in the south, but your sessions aren't outside. They're inside a frigid convention center! Throw a sweater/cardigan/outside layer in your purse because you will wear it until you defrost back outside again. This was definitely the most important item I packed for the entire trip. 3- Plan to share notes on Google Drive. 4- Follow the conference happenings on the Twitter hashtag and the ASCA app. This was one of my most favorite things of the conference! If you don't have a Twitter handle going into ASCA, create one at least just for professional networking opportunities and quick snippets of info. I knew where t-shirts were being given out, where check in was located, and where the buses were leaving from because @ASCAtweets posted logistical things to get us through the weekend. I learned what people were laughing about in the conference room next door to mine because I was following the #ASCA16 hashtag. I got insights into others' most precious takeaways from the best presenters. Best of all, I got to meet up and network with those who had been tweeting all weekend at the laid back "Tweet Up" on the last night of the conference. I'm not sure how anyone could make it through the entire conference without using the ASCA conference app. I was blown away in how helpful it was! You could organize your personal schedule for the day by picking your own sessions, viewing a description of it and the powerpoint before you decided to go. As an attendee, you also gave your direct feedback after the session right there on the app- talk about data collection! 5- Talk to people sitting next to you in sessions. Everyone here loves their career! Everyone here has something to share and is here for a different reason. Their school is different than yours, and they have different experiences. Find out where they're from, how they got to ASCA, and what their favorite session has been so far. Between this and connecting via Twitter, I met a new network of colleagues who live all over the country! We already know school counselors are the friendliest people, but that is truly confirmed at a conference where we are all learning together. Overall, ASCA was an unforgettable professional experience. I was blown away by the professionalism of the presenters and the smoothness of the entire conference experience. 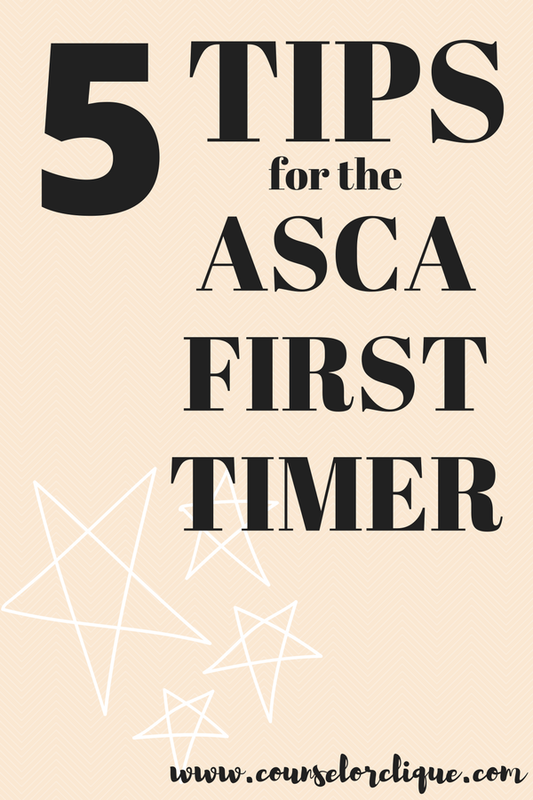 This was my first ASCA conference, but it most definitely will not be my last! Good tips! Wish I read it last month before I went to Technology Student Association National conference, Nashville, TN, it was so cold inside! Really regretted not carrying a sweater. Thank you! Your child’s proudest moments. Now in one place. I'm going to safely assume from here on out now that they ALL are going to be like that! Better safe than sorry!